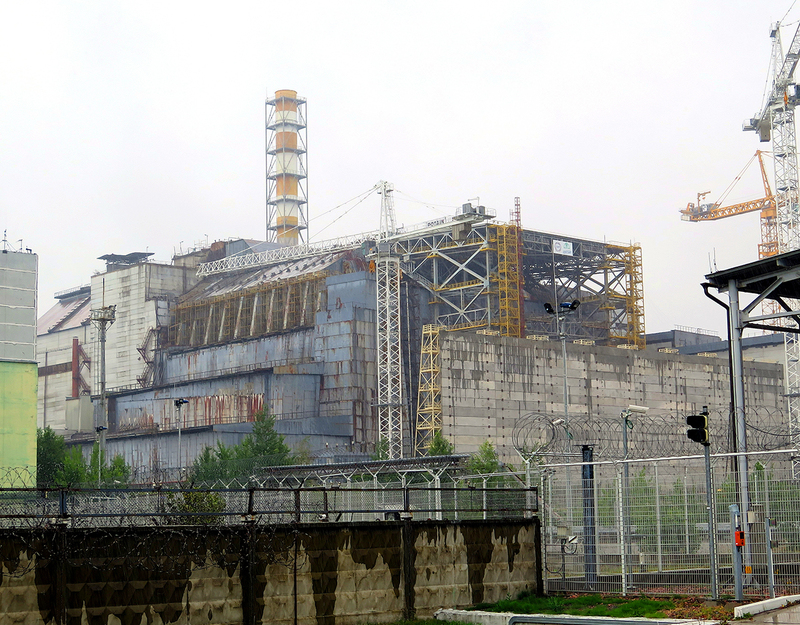 Touring Chernobyl feels distinctly odd. The name conjures images of a doom-ridden wasteland, but the reality is very different. 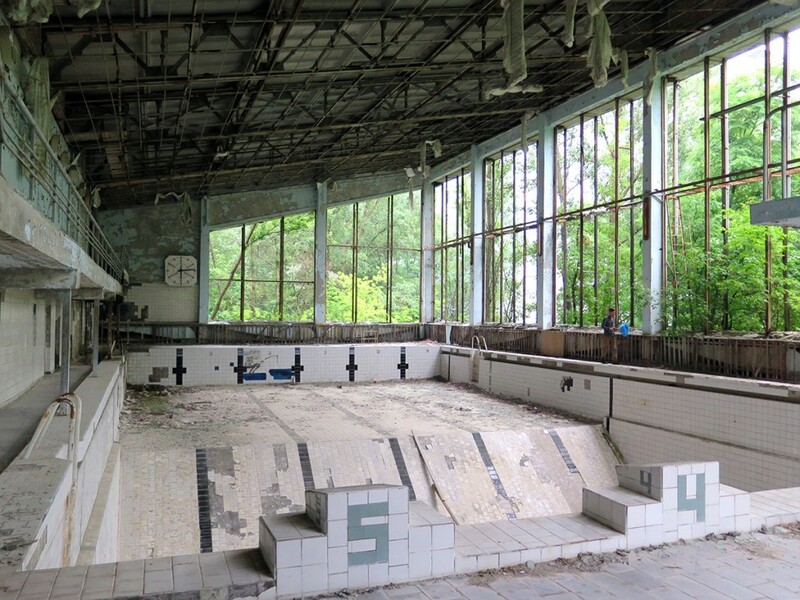 Even deep inside the exclusion zone there is generally only low radioactivity, roughly the same as normal background, and it has turned into a pleasant green wilderness, marred only by a scattering of decayed buildings. We could wander around fairly freely with only very minimal precautions. The main problem (beyond the reputation) is there are still radioactive particles in the soil, etc, so it is unwise to go digging around and it is certainly not a wise place for long term residence. We visited various eerie abandoned buildings, especially in the abandoned Soviet city of Pripyat. We wandered through an abandoned school, a grand sports center, a never-opened funfair. All slowly decaying and returning to nature. The road into Pripyat has been mostly taken over by trees, with a relatively narrow track kept open. The high point of the tour was a stop near (but not too near) the notorious Reactor 4, where we had a good view of the reactor building now shrouded in the old sarcophagus. 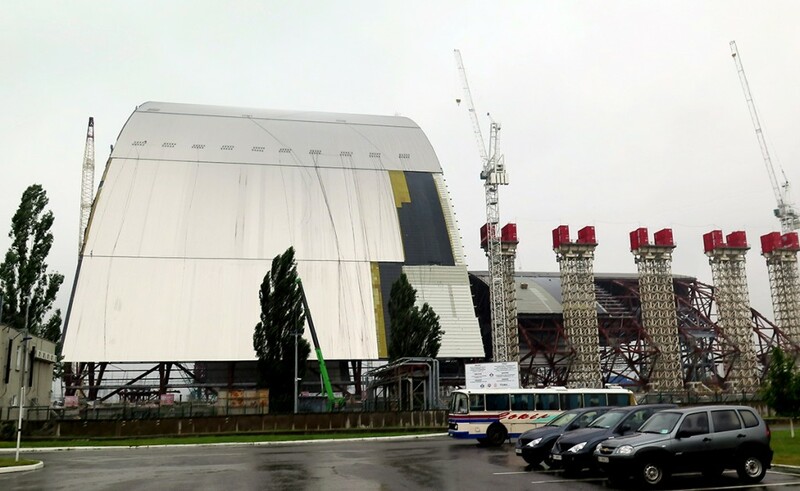 The immediate reactor area is still dangerously hot, so for safety the new protective sarcophagus is being built a short distance away, in two halves, and will then be rolled into position over the old sarcophagus for better containment. 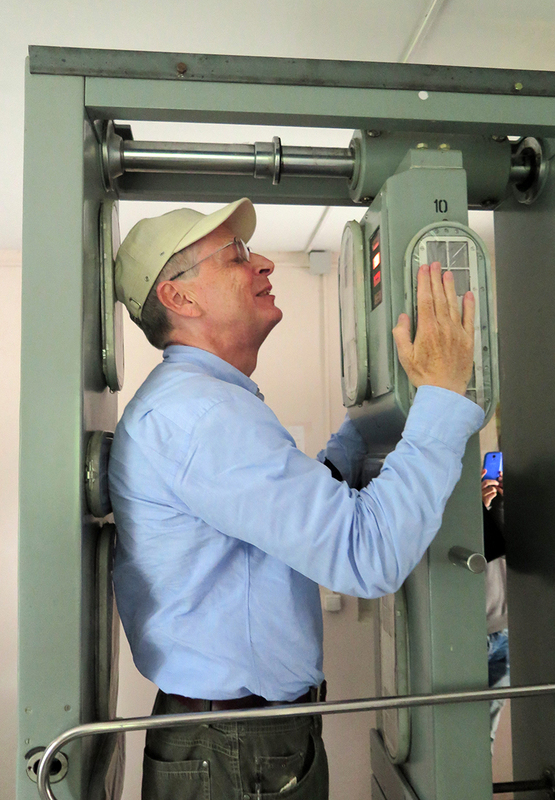 F inally, on exiting we had to go through radiation monitors, which happily declared us all clear. 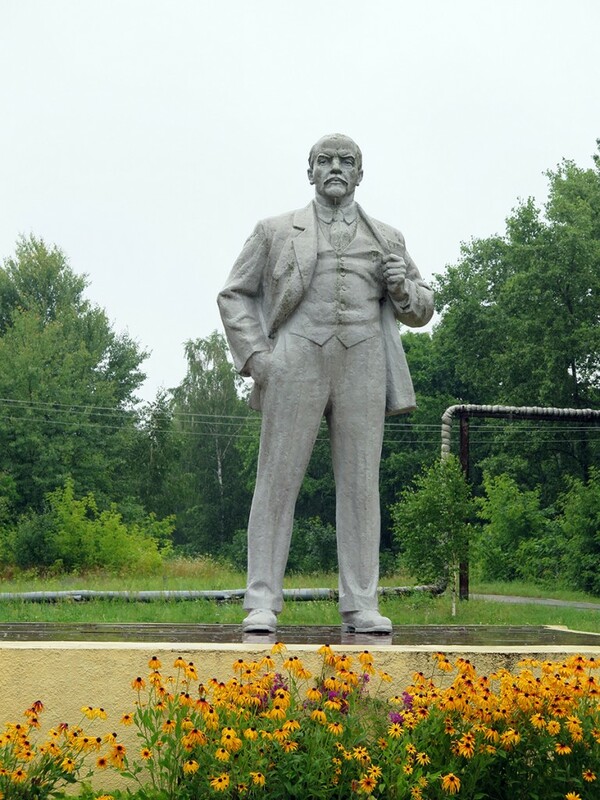 I visited on a day tour run by SoloEast (aka TourKiev) from Kiev. It worked well and I recommend them. 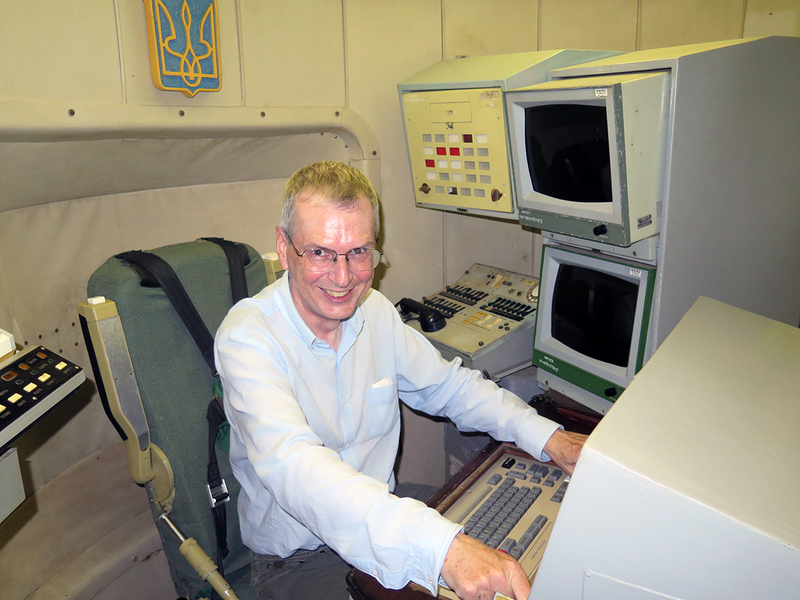 In Balaklava, Ukraine, I visited one of the USSR’s super-secret bases, “Facility 825”. 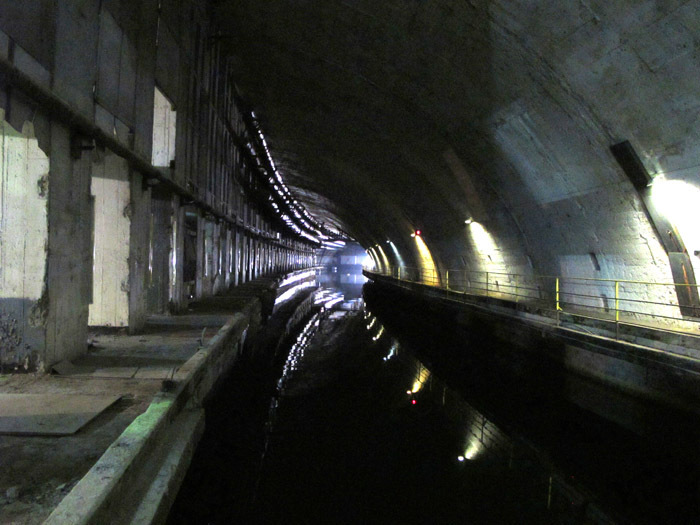 This is a giant semi-submerged underground lair, where submarines could enter, be refueled or repaired, and be entirely invisible from the air. Oh yes, and it was designed to survive a 100 kiloton direct hit. 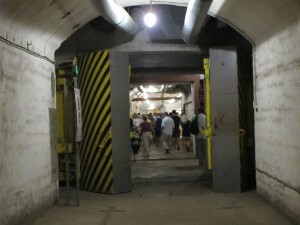 The base seems to have been conceived in the early 1950s. 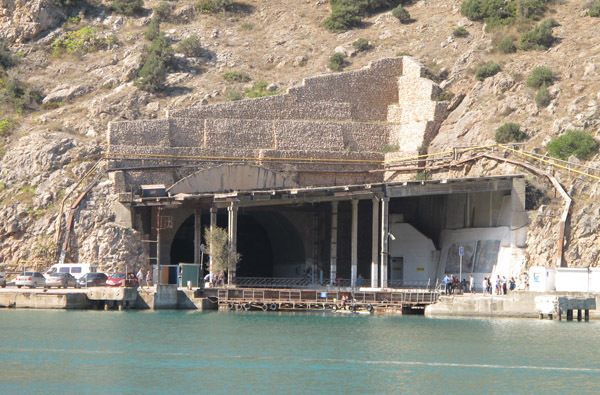 It was constructed by the teams who had built the Moscow and Kharkiv metro systems, so it isn’t too surprising it takes the form of a giant tunnel, with a concealed entrance in the Balaklava harbor and an exit into the Black sea. 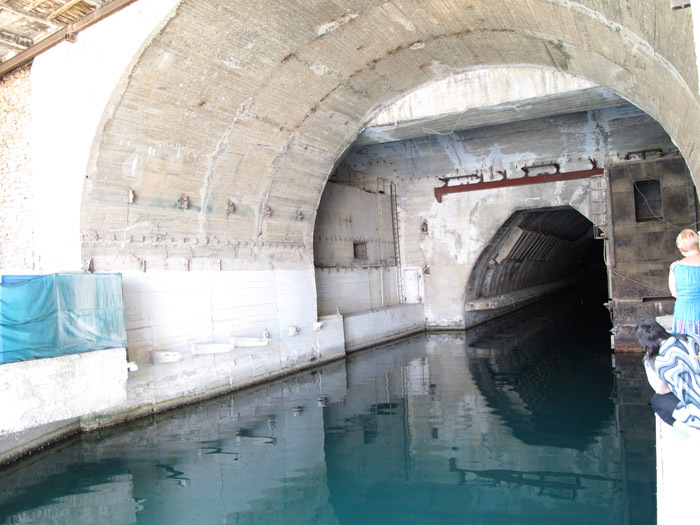 The tunnel is wide enough to allow subs to be docked at one side for maintenance, while others slid past in the main channel. The base is also chock-full other tunnels, for the supporting humans and for the various arsenals. Facility 825 was super-secret in its day. The entrance is designed to be invisible from the air. They were initially worried about spy planes, but of course this also worked well against satellites. 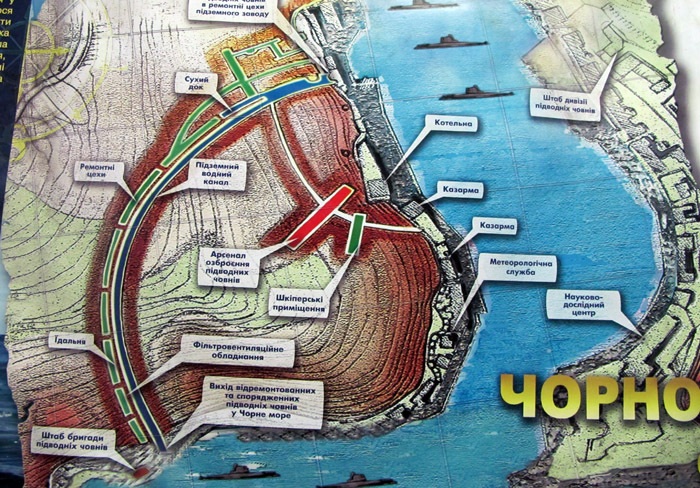 The Soviets apparently hoped to keep even the existence of the base entirely secret, using various ploys to conceal the construction work. But where are the nuclear wessels? 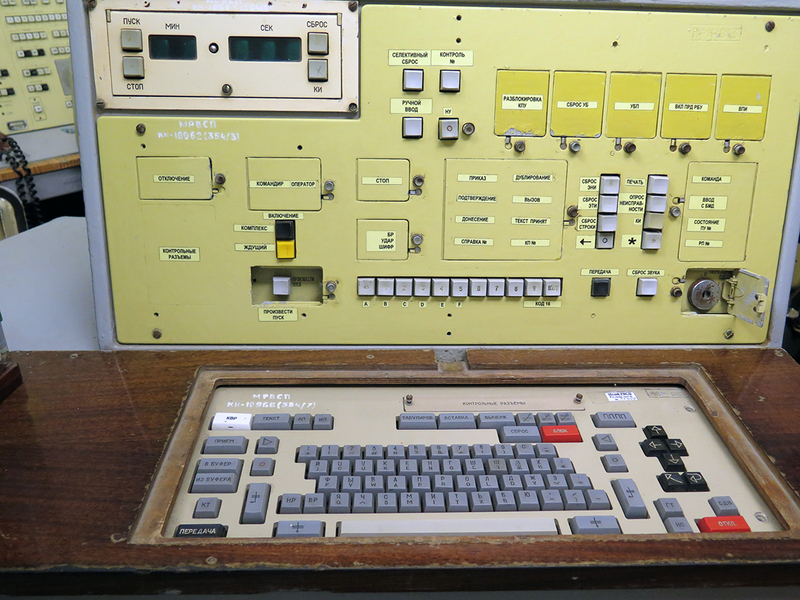 It was decommissioned in the early 1990s, but even today it’s hard to find reliable data on what was actually based there. 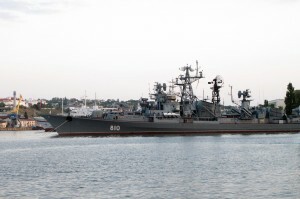 It is generally cited as a “nuclear base”. 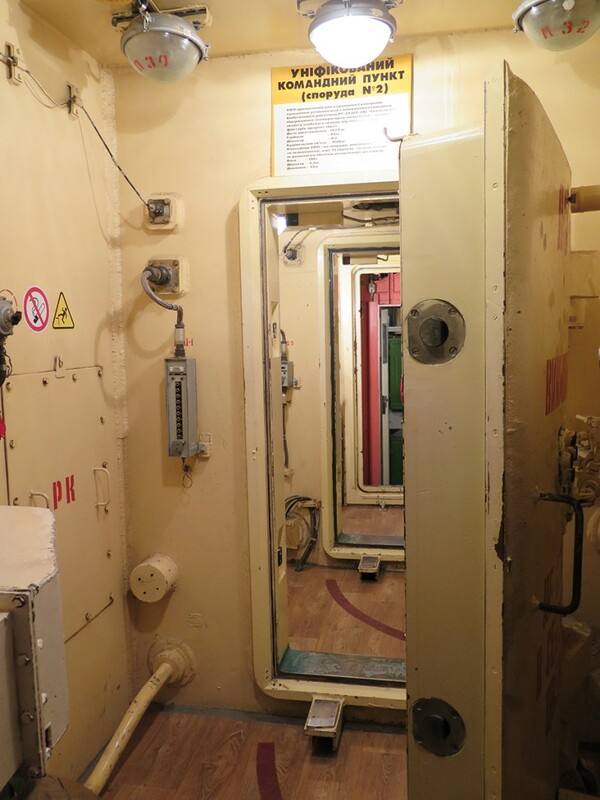 But as far as I can figure, it was only used for Whiskey and Romeo diesel powered subs (the tunnel was probably too narrow for the later nuclear subs). There were probably nuclear warheads, but even that is a little unclear. 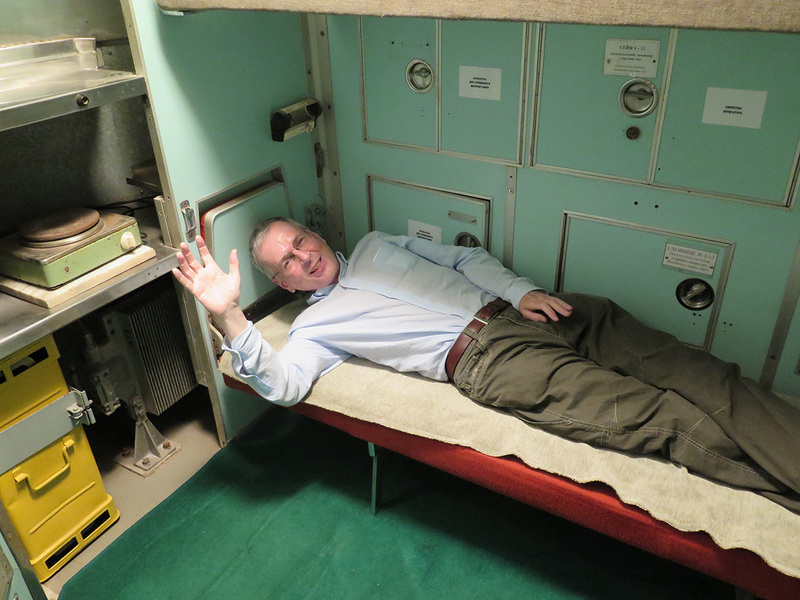 It’s all a wonderful relic from the Cold War. It’s rather sad to see it turned into a rather desultory museum. Where are the international super-villains when you need them? Why aren’t aspiring megalomaniacs bidding frantically to “borrow” it for “historic renovation”? Alas, we live in banal times. 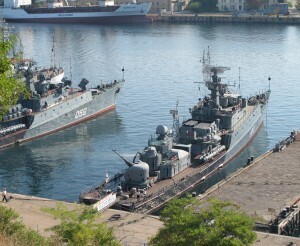 The city was formerly host to the Soviet Black Sea Fleet. 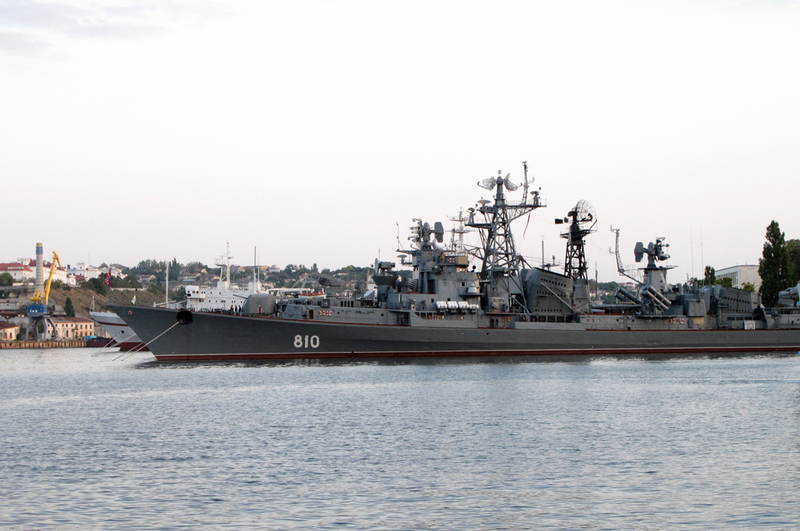 After 1991, the fleet was partitioned between Ukraine and Russia and both halves are still based at Sevastopol, although most of the warships I spotted had Russian ensigns. 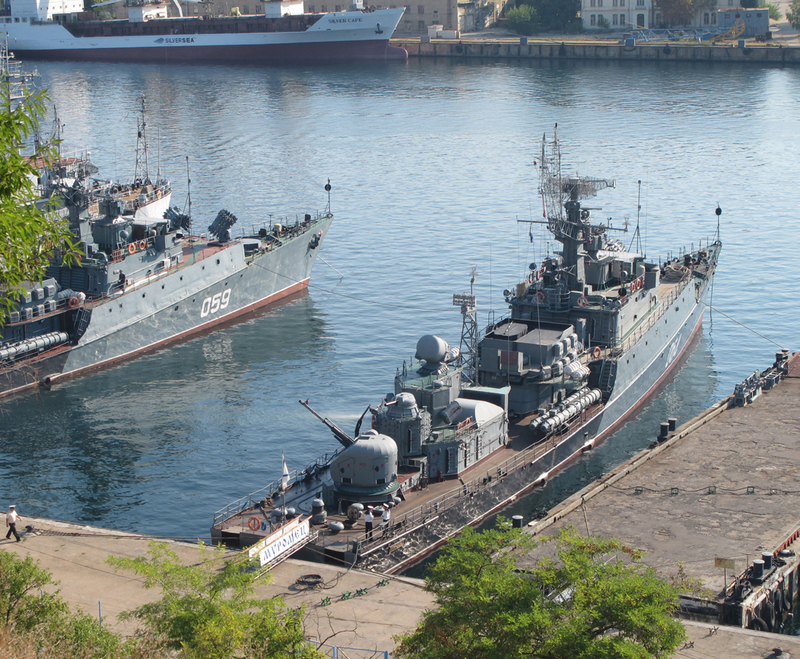 Like Vladivostok, Sevastopol was a closed city during the Soviet era, so it feels strange to be able to wander freely and admire the once guarded fleet. 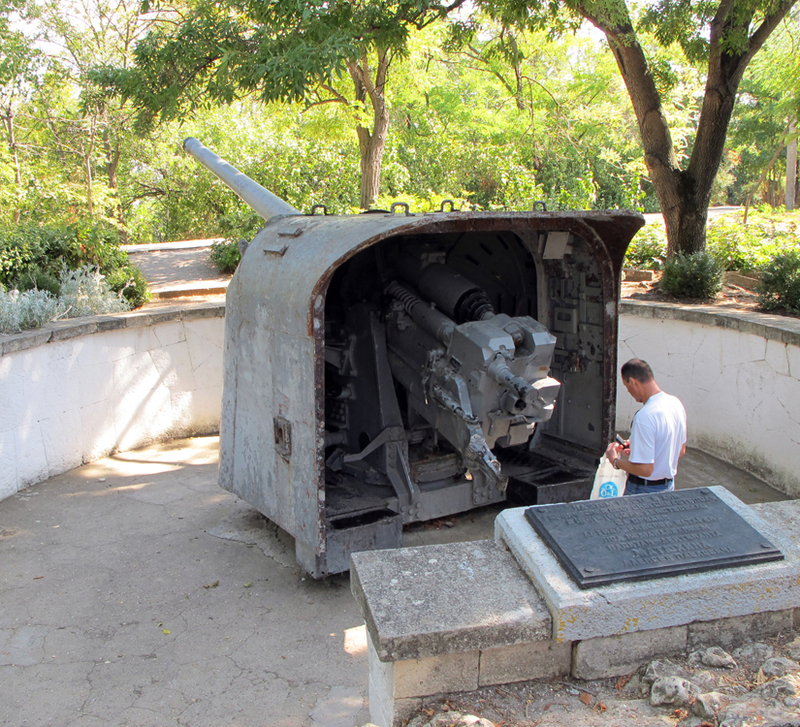 The city also hosts an eclectic mix of memorials from the Crimean War, WWII and Soviet periods. 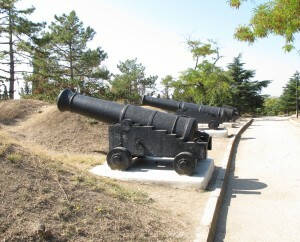 Crimean War Cannon, Malakhov Mound.